Color Burst Beauty info about the game-Games2Rule. 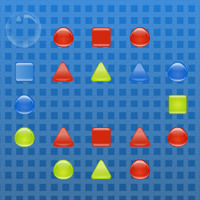 Hello games2rule fans get ready for color burst in this game you need to make the bubbles explode with just one click. Color burst beauty is the 25 levels skill base game as you have to clear the required color as fast as possible to get more scores. Follow the directions carefully in every level because if you burst the wrong color, you will lose a life. Be careful, some levels require a bit of planning and thought to complete more than others.Good luck and have fun!